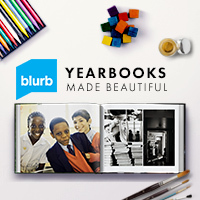 Freeday Friday with free info to make your life easier and $$ off blurb books when you use my link! Blurb image to the right! I first blogged about this a few years ago and it is still my most popular post on here so I thought I would do another and perhaps add to it. Some of this may be a repeat but here goes….I am going to tell you what I think you need to be doing right now to preserve your family memories. #1 Buy an external hard drive. They aren’t expensive or scary – they just plug in and you save files or drag and drop files just like you would to any folder on your computer. Get one for each year (and back that up online in case of a catastrophic loss). Did I say back those up? Yes back those up. Back them up. Are you hearing me? You do not want to pay several thousands of dollars for someone to attempt to recover them or worse yet, not be able to! #2 Folder it out. 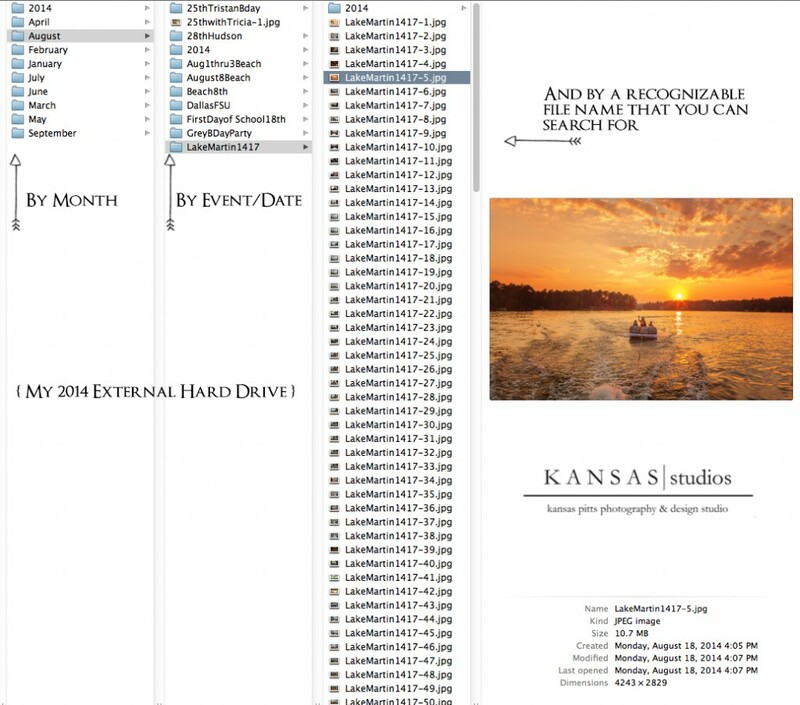 For each year have a file system on there to help you-a hierarchy of sorts for your pictures. Each drive is a year (or two) and then each year is separated into months and then, within the months, events. Also try to date your events. For instance, you see LakeMartin1417; since that is in my 2014–>August file I know that trip was August 14-17. This also means like once a year or month take your iPhone or instagram pictures from your phone or cloud and put them in the folder as well. At the end of the year I upload all mine or take them off my cloud and put them into their month and include those in our family yearbook. Also, if you want to make this retroactive scan older pictures in. There are also companies that do this for you-just a quick google search yields plenty of options like Digital Memories or do it yourself with these TIPS. If you keep up with this it really isn’t a big time drain and neither is…..
#4 And lastly, get them off your computer! I have tons of displays in my house that I replace maybe once every two years or switch around. If you want to see some of those HERE and HERE they are. BUT I think the best thing to do are family albums. Not of professional pictures (although if you get a print release I would definitely include some for that month) but your day to day pictures, your family memories. For us its beach and boat and Seminole games and just hanging out together on special holidays and me harassing my kids when I have a creative idea. All those into one album. My parents were over recently and my dad had never noticed them (although they are prominently displayed) – he was leafing through them and you could tell from the look on his face he just loved being able to see pictures of himself with the kids through the years. That just further solidified why I do these for my family. For me, I do one for each year and then if we go on a vacation I take so many that I can’t put them in the yearbook so I do a separate one for each vacation. I use Blurb for these (using the Booksmart software they have) and they are so easy-seriously just get a cup of coffee or a glass of wine and sit down and within an hour or two (well probably less since you won’t have as many images as I have to go through lol) you will have a beautiful coffee table book to display and reminisce over. And speaking of that, I take so many I have to be selective and still only get a small portion of my images in (about 1100-1300 images) so I have to make mine smaller within the book-don’t be afraid to do yours larger and thus spreading them out so you can get a pretty thick book – it just makes it look so much neater! There are more images of the books and details from my previous post HERE. And many of you have seen how I display my books…If you want to see how we built them you can click HERE. For those of you who want to start this process and have questions just leave a comment and I will answer anything I can. Just FYI, the specs on my books (the larger ones which is all I do now) are custom ImageWrap Cover, Large Format Landscape 13×11 inches (33×28 cm) , 240 pages (about 1100 images) ProLine Charcoal End Sheets, with ProLine Pearl Photo Paper. I also usually order two – one to keep out and one to keep clean Want to start ordering yours? I am telling you, it is so worth it. When I get them down the kids fight over them to look back and we talk about fun things we have done and funny faces in the albums and its truly special. I’ve loved this idea since you originally posted it! I’ve been wanting to do it, but the thought is SOOO overwhelming to me! One thing that holds me back is the worrying about being a total perfectionist…this album would be super special, so I’d want it to be just right!!! I feel like I’d build the album and then be obsessive about placement and how each photo looks! 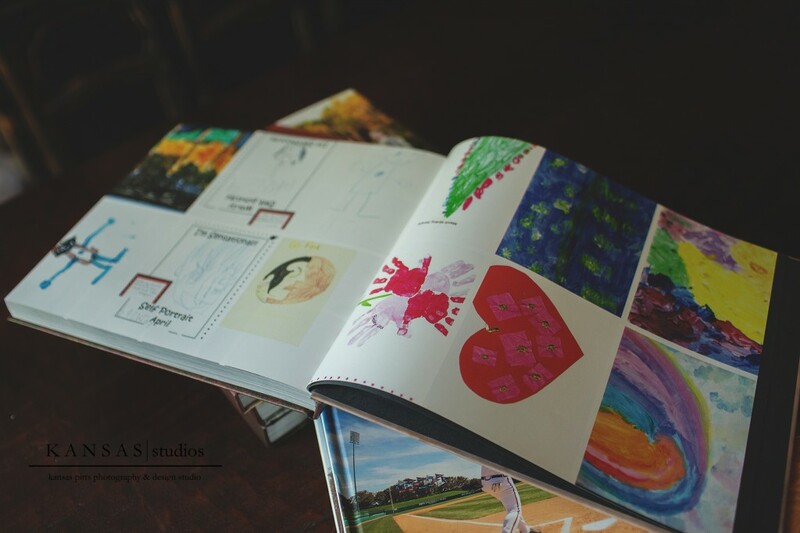 Do you just quickly process the photos and then throw them in the book without too much worry? My fear is that I’ll be looking it over after I’ve printed it and then think this photo should be a little warmer, or the coloring on this series of photos doesn’t match, or I should have bumped the exposure up a little on this one. Do you find yourself worrying about these small details? Oh, and do you put text in it to explain each series of photos?